Posted on December 28, 2017 by treelawyer	tagged. For all of the Latin phrases, hidebound traditions and libraries full of precedent, the law at its essence is nothing more than a codification of policies generally accepted by society. The law doesn’t always get it right – some laws aren’t carefully drafted, others do exactly what the legislature intended but pursue foolish or even repugnant policies – but by and large, the law tries to lay out rules for conduct based on policies generally accepted to be important. Keeping an eye on the prize – the societal goals to be achieved – often helps courts from going overboard. 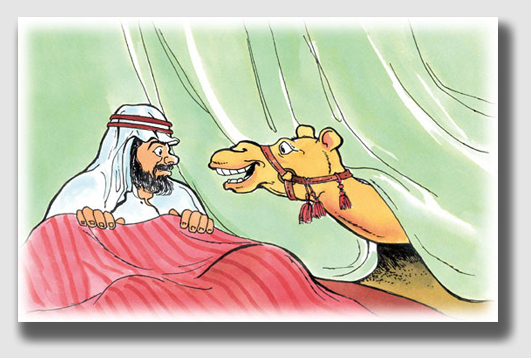 It’s how the camel’s nose can be allowed into the tent without getting the whole camel in the process. A good example of this is the “wrongful life” lawsuit. States all allow a “wrongful death” action, in which the survivors of someone killed, say, in a car accident or from medical malpractice sue for damages. This makes good sense. But in the last decade or so, some “wrongful life” suits have been brought, where – for example – a physician misdiagnoses, and tells prospective parent that their fetus is healthy, but the doctor is wrong. The child is born with severe birth defects. The “wrongful life” suit claims that but for the physician’s negligence, the child would have been aborted. Very few courts have permitted such a lawsuit, for several very good public policy reasons. The first is that society does not recognizes, as a matter of policy, that anyone is better off not having been born, no matter how severe the burdens of congenital disability. Second, the whole idea of tort law is to place the injured party in the same position as he or she would have been in had the negligence not occurred. But for the negligence, the injured party wouldn’t have been born. What can be done to put a living plaintiff in that position, or ­for that matter, to compensate for having been born instead of never being? All right, that’s pretty heady stuff, but what does that have to do with tree law? Simply this: in today’s case, the plaintiff, Ms. Lewis, suffered having neighbors Gary and Nancy Krussel’s tree fall on her house. Her suit simply claim this: the tree fell on her house, the neighbors knew that they had a tree, therefore, the tree was a nuisance, and the neighbors were negligent in not keeping the tree from falling on the house. There was no evidence the Krussels had any inkling this particular hemlock was going to fall. There was no evidence any reasonable person would have had such an inkling. In fact, there was no evidence the tree was diseased or damaged. Reduced to its essence, Lewis’s claim was that the tree existed and the tree later fell, and those facts made it a nuisance. The tree was alive, the argument seems to say, and that fact wronged Ms. Lewis. Fortunately, the Washington state courts made short work of this claim. Ms. Lewis was trying to advance a negligence claim as a nuisance claim, probably because she had no evidence of negligence. But, the courts ruled, public policy was not ready to declare a tree a nuisance merely because it was growing, nor was it prepared to hold that property owners were liable for what became of any naturally-growing, healthy trees on their land. 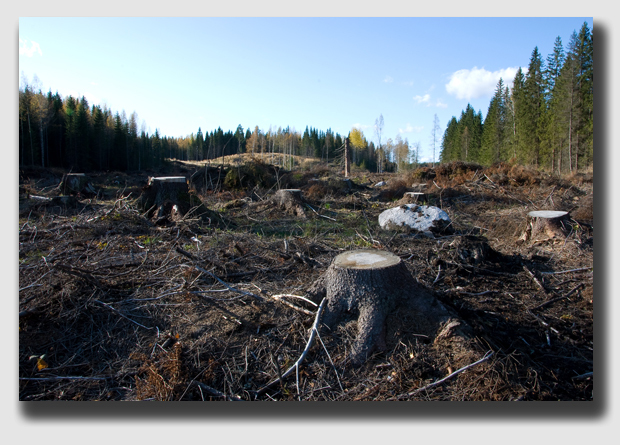 Without keeping one eye on public policy, the courts’ development of the law might go like this: First, landowners are responsible for damage caused by trees on their property that are diseased or damaged, and about which condition they are actually aware or reasonably ought to be aware. The next step would be courts ruling that owners must inspect their trees to avoid liability. Finally, landowners would be strictly liable for any damage caused by their trees, whether they were aware of a problem or not. Largely, the law has stopped short of such a draconian rule, because the courts recognize that public policy favors the natural growth of trees, and eschews requiring property owners to devote substantial time and money to inspect trees, where there is no concomitant benefit to the public. 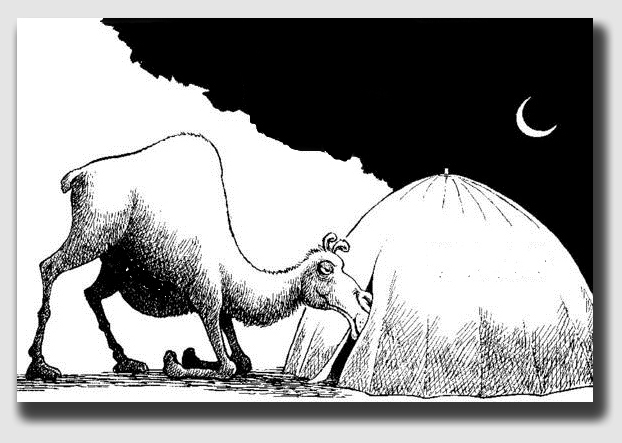 By and large, courts have enough policy sense to let the camel’s nose into the tent while keeping the rest of the dromedary outside. It is this kind of analysis that is illustrated in today’s case. Lewis v. Krussel, 101 Wash.App. 178, 2 P.3d 486 (Ct.App. Wash. 2000). During a windstorm, two large healthy hemlock trees fell on Dawn Lewis’s house. She sued Gary and Nancy Krussel, who owned the property on which the trees had been growing. Krussel acknowledged that windstorms had knocked down other trees on his property and other property nearby in previous years. About a week after the windstorm at issue here, another windstorm knocked a tree onto his mother’s mobile home. But the trees that damaged the Lewis house were natural growth, and Krussel had no reason to believe that they were any more dangerous than any other trees on his property under normal conditions. After the damage to the Lewis house, Krussel cut down other hemlock trees located near his house upon the recommendation of the local utility district. After Lewis sued for nuisance and negligence, Krussel moved for summary judgment. He supported the motion with evidence from a professional forester who inspected the stump of one of the fallen trees and found no evidence of rot. The forester concluded the tree that fell on the Lewis house was no more dangerous than any other tree standing on the Krussels’ property, and there was no way for the Krussels to determine beforehand whether any one of their trees would fall over. The trial court dismissed the Lewis claim, and Lewis appealed. Held: The appeals court upheld the dismissal of Lewis’s claim. Sure Ms. Lewis’s house was crushed … but gravity did not turn the healthy tree that toppled onto her roof into a nuisance. 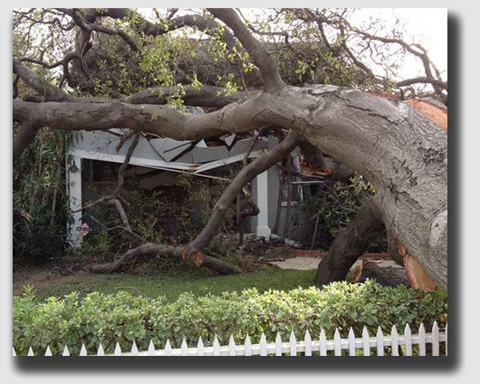 A homeowner is not obligated to remove healthy trees because they might topple in a storm. The Court of Appeals said just because a negligence claim was disguised as a nuisance suit didn’t mean that the trial court had to consider it as such. Instead, in situations where the alleged nuisance is a result of what is claimed to be negligent conduct, the rules of negligence are applied. The elements of a negligence cause of action, of course, are (1) the existence of a duty to the plaintiff, (2) a breach of the duty, and (3) injury to plaintiff flowing from the breach of duty. An owner of property located in an urban or residential area who has actual or constructive knowledge of defects affecting his or her trees has a duty to take corrective action. However, the same is not the case when the tree is healthy. In that case, the owner does not have a duty to remove healthy trees merely because the wind might knock them down. In this case, the Court agreed, there was no evidence that Krussel had any reason to believe that the hemlock trees posed a hazard, and a professional forester who had inspected the stump of the fallen tree had found that the tree was free of defects. The mere possibility of harm does not mean probability of harm.